My Blog Guest is awesome. A resource where struggling bloggers can go for content. Bloggers who are looking to promote their blog regularly trawl the site looking for opportunities to blog on other blogs. One of the most common ways to find opportunities to blog is by placing a request in the forum, list your niche and see who replies to you – you often get a few messages in your inbox. However – whilst you get a few messages, they are generally pretty limited, and often you get the same few people respond to messages. Also it can be easy to miss messages (something I’ve done numerous times, with weeks occurring between messages). Even if you get some great opportunities, you are limited to those who browse the forum. 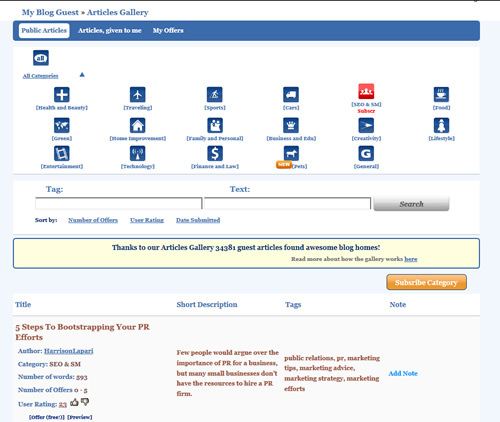 However there is another way to find guest posting opportunities using one of it’s other features – The Article Gallery. This requires a bit of work though to set up though, so bear with me. First of all, select your niche at the top of the page. You will be presented with a list of articles located within that niche that have been uploaded to the gallery. Blog owners can visit the site and find an article to place on their blog for when they are short of content. These blog owners place offers for the content, and the blog owner either accepts or rejects the offer. Now, this is the thing: unlike traditional guest posting where the blog writer can be rejected by the blog owner, in this method the blog owner can be rejected by the blog writer. This means that the blogs these articles end up on are often a lot stronger than those found in the forum (a big reason for the premium version of My Blog Guest – something I do recommend you invest in). But how do you find these blogs? Well, you head to Google Alerts. Do an exact match search for the title of the blog, make sure you search for the exact title of the article (by surrounding the title in quotation marks), search for all results and email you “once a day” (you don’t want to be receiving emails every minute, trust me). Click save and wait a day or 5. Note: I like setting up 5 at a time, to get results quicker. You will receive an email like this. 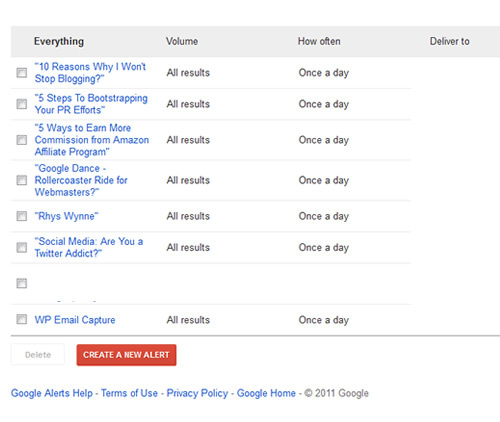 Your blog post that you created an alert for has been indexed in Google. Furthermore, the website that article is on – webhostingmasters.com – has a domain page rank of 6 at the time of writing. A nice strong link! You should build up a list of websites that are strong blogs. 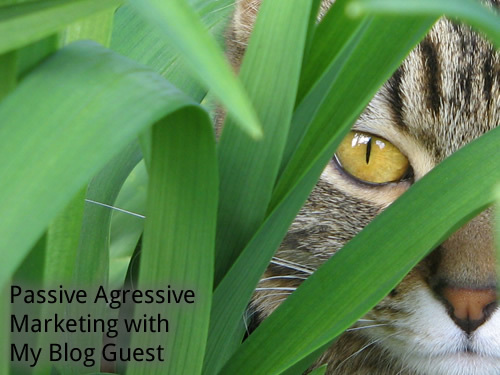 You can then approach these blogs direct for guest post opportunities. You will find a bunch of great blogs that use My Blog Guest, that are not your usual suspects that are promenant in the forum.